The common garden ant is 2-3mm in length, with the queen much larger at 10mm. Brown/black in colour with elbowed antennae and biting mouth parts. 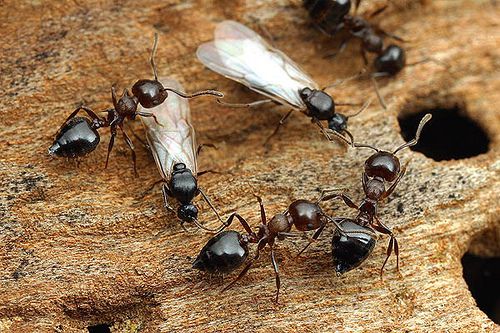 Ants are highly organised social insects; the worker ant is the forager that invades buildings in search of food. Flying ants are the reproductive males and females who will swarm and mate for a few days only in July or August. The female (queen) then seeks a nest site where she remains for the winter laying eggs the following spring in order to start up a new colony. 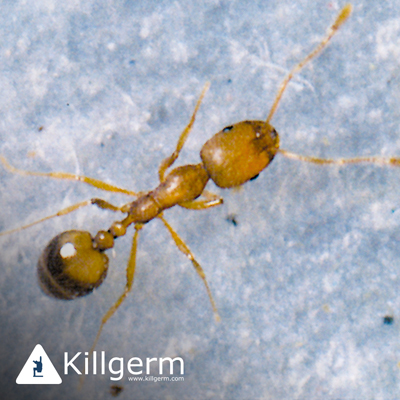 Foraging worker ants, usually trailing around wall/floor junctions and around the outside/perimeter of buildings. Excavation of fine sand/gravel in areas where cavities are being enlarged to expand the nest. Flying ants, usually of a hot and humid afternoon/evening. Application of a residual insecticide to wall/ floor junctions where ants are foraging and to areas where gravel is being excavated. Underneath door frames, window frames where ants may be nesting. 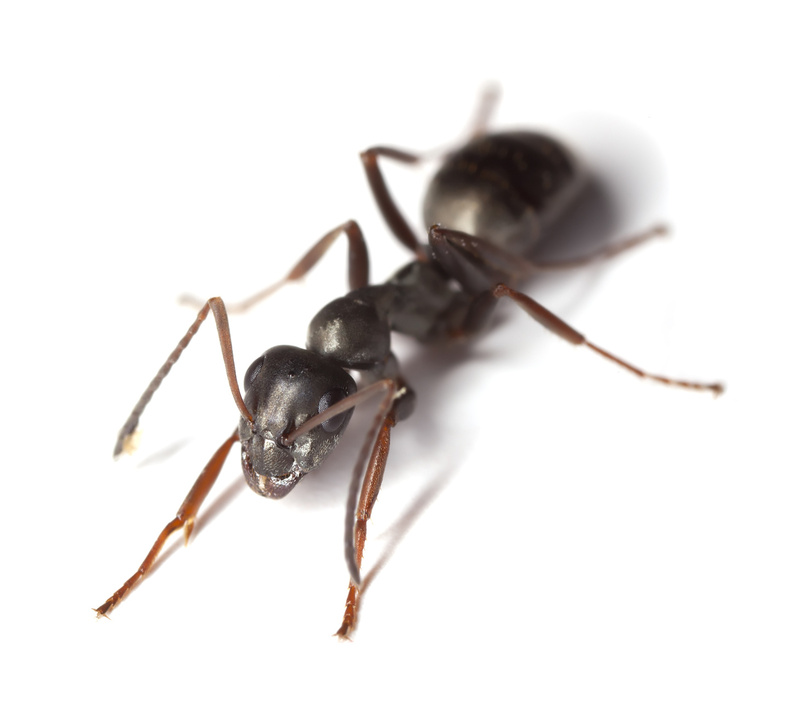 Spray to immediate perimeter of building to prevent ants migrating in from outside. The Pharaoh’s ant is small, off white/yellowish in colour and 2mm in length, with the queen larger at 5mm. Preferring dark warm areas they can be found in the structures of large centrally heated buildings, especially hospitals, prisons and blocks of flats. They live in colonies containing several queens, sterile workers, males, eggs, larvae and pupae growing rapidly in a short space of time. Pharaoh’s ants are a health hazard in hospitals because they can carry germs from dirty places to clean food areas and operating theatres. 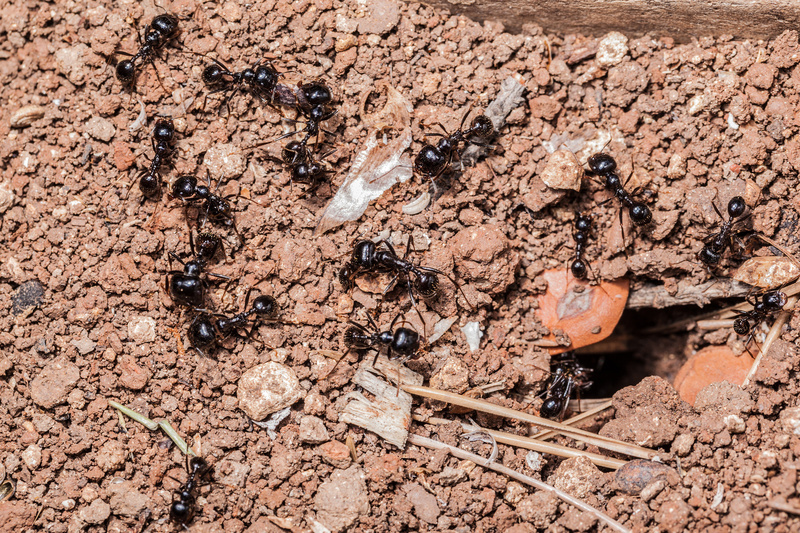 Foraging ants, very difficult to see and usually trails of ants following a distinct route. Any treatment undertaken for Pharoah’s ants would need a thorough survey. Only by baiting using a stomach poison or juvenile hormone based product. This is slow acting and it may take several months for the colony to die out. Never use residual insecticides as this may cause a panic reaction in the nest resulting in the queens forming satellite colonies, thus spreading the problem.